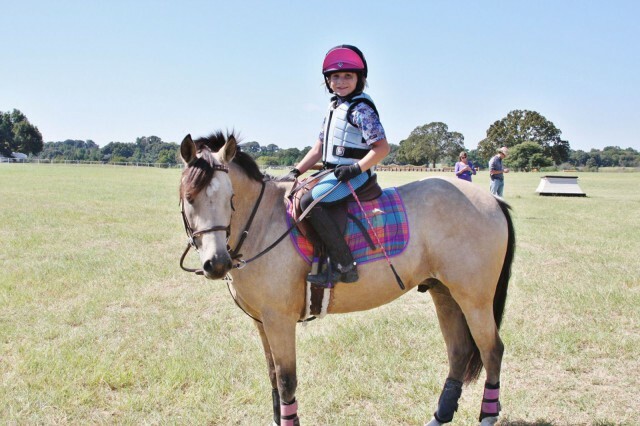 When Texas event mom Angie Mitchell posted this heartfelt open letter to her daughter Anna's teacher on Facebook yesterday, she couldn't have known what a chord it would strike with horse lovers (and other parents of horse lovers) around the world. We all know an Anna, or we've been an Anna ourselves — and we think she's going to turn out just fine! Thank you so much for allowing us to share Anna's story with Eventing Nation, Angie! Photo courtesy of Angie Mitchell. Today my 7-year-old daughter came home from school a bit sad. When I asked why, she said you told her that if she kept missing days, she would get bad grades. 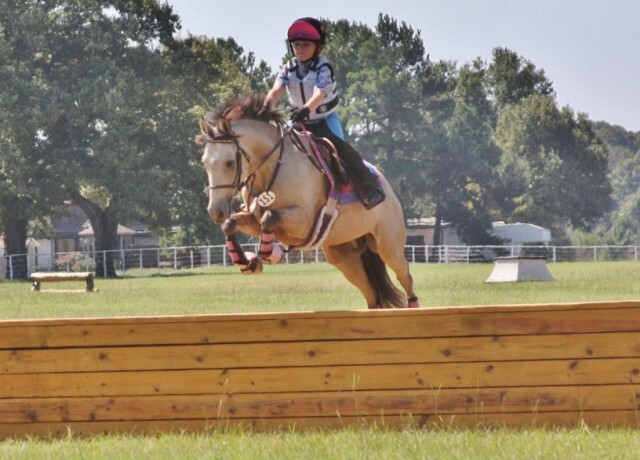 I understand where you are coming from, I’m sure it’s frustrating for you when she’s gone, but she’s missed three Fridays since the beginning of the year to compete in something that at 7 years old she’s found to be her true passion: eventing. And so you know, there are not many 7-year-olds that event. It’s difficult. It’s mentally and physically demanding. 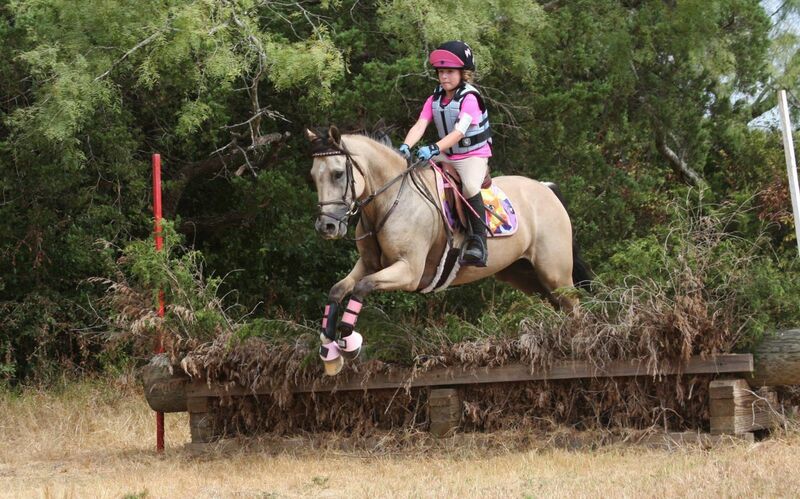 And she works harder than any kid I know her age because she enjoys it, and loves her pony, at a level beyond words. It was interesting you told her that today, because in her backpack she had her report card with six As and one B. She also had her standardized test scores, where she scored above her peers in every category. But most interesting was the sheet of paper you also sent home, listing out what I should expect of my second grader, what I should work with her on. And as I read it all I could think is how much my daughter is benefiting from all the hours she’s spending at the barn preparing for her competitions. How much she is learning from all the hours, day in and day out, she practices. And finally, how my expectations of her are so much higher than yours, because of her riding. Under the “Life Skills” portion it states she should be zipping zippers. She can put on a pair of leather half chaps by herself. Zipper level: Expert. It states she should be able to snap snaps and button buttons. She can put on her show shirt and jacket, a stock tie, breeches and her helmet. She can also tack up her pony by herself and apply bell boots, open front jump boots and brushing boots, and she knows which ones to use when. It says she should know how to wash and dry her hands. Not only can she do that, but she knows how to clean and condition her boots, bridle and saddle, bathe her pony, pick his feet and apply hoof polish, organize a tack trunk and shovel and sweep manure from the grooming bays. She’s supposed to know one parent’s phone number, and her parents’ names. She knows the names of the 30+ horses at the barn. She knows what size girth to use, and when to use a running martingale. She knows what hole to put the jump cups for a 2′ course, or a 2’6 course. She also knows how to change her diagonal, turn down centerline, make a 20-meter circle and how to ride a transition. There was a section for “Following Directions” where it says she needs to be a good listener. She listens to her trainer give her a jump course consisting of 10+ fences, which she has to immediately remember, and then jump. 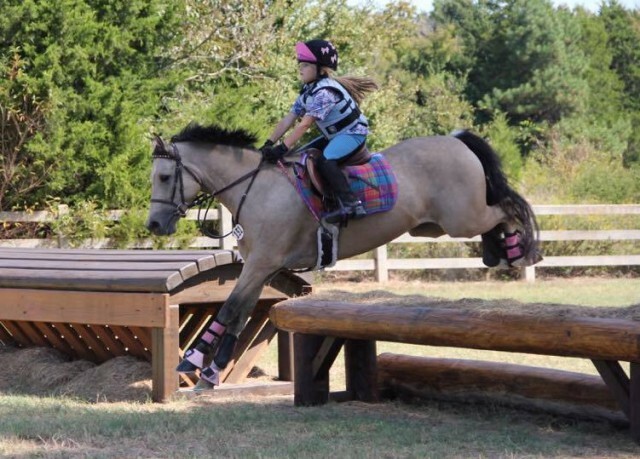 It says she has to remember multiple directions at a time “such as brushing your teeth, putting on your shoes and moving your backpack.” She can remember and ride a dressage test, cross country course and show jump course in one day. It says I should play “Mother May I” with her. Everything her pony does is because she’s asked, and she knows she has to ask correctly. She weighs 50 lbs. He weighs 700. She has spent hours learning how to not only ask, but listen, when she wants something from him. It says she should have responsibilities, such as packing her lunch. She can not only feed herself, but knows how to feed and care for a pony. She can groom him, put on his blanket, braid his mane and brush his tail. She can scoop his feed, throw his hay, fill his water buckets and lug all five gallons 100 feet from the hose to his stall (though I do have to help her hang them). She knows he always comes first, even when she’s hot and tired or it’s cold and raining. But most of all, she’s learning about hard work. She’s learning how to succeed, and how to fail. She’s learning patience and compassion and best of all Love. Love for her pony, Love for her sport, Love for learning. Dear Teacher, while I know school is important, I also know there is more to life than what can be learned in a classroom. These experiences aren’t just teaching her the things that come from a book, but things that are making her a better human being. When she looks back on her life, she won’t remember missing those three days of school. 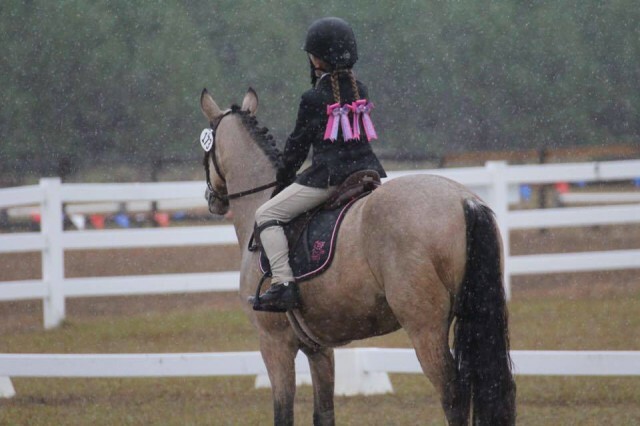 She will remember her last show on her beloved pony Champ, her first ribbon at a USEA show, and how she and her Best Friend spent three days in the rain together doing the thing they love the most, being Eventers.